•	Headshots and resumes are very helpful but not required for audition. Rehearsals - Monday thru Thursday, 6:30 to 9:30 pm, starting Monday, March 25. Dry Tech April 26. Regular Performance Days are: on Friday & Saturday at 8:00, Sunday at 2:00. Rachel: (21) a young woman who can get very worked up and who seems to have issues with life and men until Bridge Night opens her eyes. Connie: (55) the mother of Rachel who finds on this fateful bridge night that life doesn't end at fifty-five. Leona: (50 to 60) one of Connie's closest friends and a member of the Bridge Club for over thirty years.. This is a woman who's a beautician by profession and a rather caustic lush by preference. Millie: (45 to 65) another of Connie's friends and a long standing member of the club. This is a woman who moves to her own special drummer even though she's the only one who can hear him. Policeman/ Bobby (23) a young man of many talents and they all come to "bare" on the ladies Bridge Night. Must be able to do a hot strip in full Chippendale style, down to, well, not much. A good guy with real feelings for Rachel. When the biggest highlight in your life for the past thirty years has been your weekly bridge night out with the "girls," what do you do when one of your foursome inconveniently dies? If you're Connie, Leona and Millie, three southern ladies from Birmingham, you do the most daring thing you've ever done. You "borrow" the ashes from the funeral home for one last card game and the wildest, most exciting night of your lives begins with a police raid, a stripper, laughs and a whole new way of looking at all the fun you can have when you're truly living. 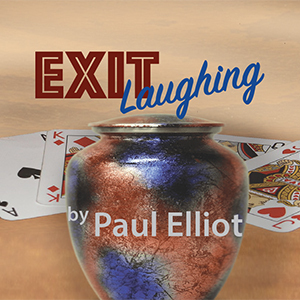 Irreverent and fast paced comedy from an acclaimed actor, director, screenwriter and playwright. Winner of the AACT New Play Fest for comedy.